What: Oscar Wilde's "The Importance of Being Earnest." When: 6 p.m. Friday, Feb. 8; Saturday, Feb. 9; Friday, Feb. 15; Saturday, Feb. 16; and 2 p.m. on Feb. 9 and 16. Where: SALT Academy, 333 N. Main Ave., Gresham. Tickets: $12 online, $14 at the door; $2 for seniors 55 and older and veterans. Info: The show is family-friendly, but best for kids 12 and older. visit www.saltacademy.com. Regardless of age, most students at SALT Academy and Performing Arts Co., are pretty savvy and cultured when it comes to knowledge of classic theater. But when it comes to preparing for an Oscar Wilde production from the late 1800s, modern resources can prove invaluable in getting the actors on the same page. That's why the nine-member cast of "The Importance of Being Earnest" recently got together to view the 2002 version of the "Earnest" movie starring Reese Witherspoon, Colin Firth and Judi Densch. "It's really hard to do something of this nature without a template to follow," says Kirk Moormann, vice president of SALT. "We all watched the movie as a cast to get an idea of what it really looked like." That served as a catalyst to bring the production to life onstage during rehearsals. "(The cast) did a ton of dialog reading and character development at the beginning of rehearsals," Moormann says. "That's when they're really understanding it (is) when they're working it out on stage ... I've known these kids in performances for several years. It's great to see how they've grown, how they play a character and how they act. "We wanted to really present a show that would be a challenge to some of the more experienced actors," he explains. 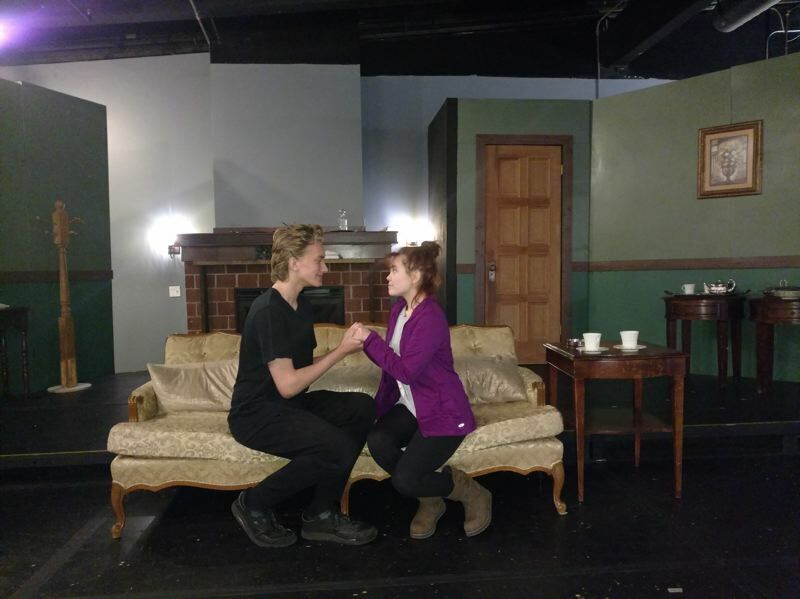 SALT Academy at 333 N. Main Ave., Gresham, presents Oscar Wilde's farcical comedy directed by Regina "Mimi" Stewart, beginning at 6 p.m. Friday, Feb. 8, with subsequent performances running through Saturday, Feb. 16. Tickets are $12 online and $14 at the door. First performed in February 1895 at the St. James Theatre in London, "The Importance of Being Earnest, A Trivial Comedy for Serious People" is described as a farcical presentation where the protagonists adopt and maintain fictitious personas to shake off burdensome social obligations in Victorian London. The production skewers sacred cow institutions like marriage and generally satirizes the culture and mores of the times. Moormann stresses that Stewart, in her role as director, chose not to take modern-day liberties in SALT's version of "Earnest." "We're staying as true to form as possible," he says. "For the adaption of the play, Regina edited out some (parts) for length. For the most part it's (Victorian England-) era costumes. We're using a minimal set that's not super elaborate, but you'll see pretty much all era-specific props and costumes." The nine cast members range in age from 15 to 34 and include a mix of SALT students and older friends of the academy including Justin Brown and former SALT student Evelyn Whipps. "This one's a little unique," Moormann admits. 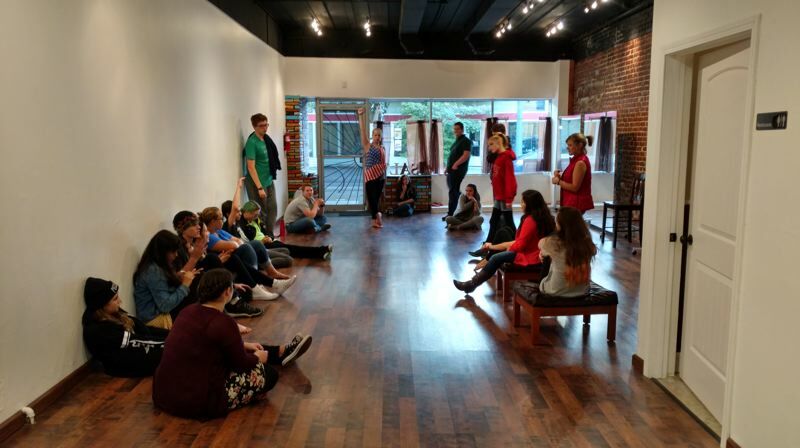 "Some (SALT plays) involve auditions, but these were hand selected (and) include actors who are no longer students who have done shows with us in the past ... We asked them back because of the depth of their acting experience." One of the reasons Moormann, his wife and SALT President Harvest Moormann and Stewart chose "Earnest" was so it would dovetail with a certain love-themed holiday on Thursday, Feb. 14. "It's a romantic comedy," Kirk says. "We thought it would be really fun to do around Valentine's Day."